During the Nuremberg trials in 1946, von Manstein was only called as a witness for the defense. Von Manstein was subsequently interned by the British as a prisoner of war in "Special Camp 11" in Bridgend. Later, because of pressure from the Soviets, who wanted him extradited to stand trial in the USSR, the British accepted their indictments and charged him with war crimes, putting him on trial before a British Military Tribunal in Hamburg in August 1949. 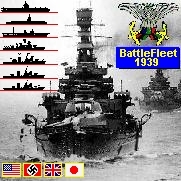 Battleship Game - WW2 Naval Strategy: the best choice among aircraft carrier games and submarine games and battleship game. Erich von Manstein (November 24, 1887 - June 11, 1973) was a general, and later a Field Marshal, in the German Army during World War II. He was famous for repeatedly standing up to Hitler on various issues, often with the rest of the General Staff watching. Although this would normally lead to his swift removal, Manstein was one of a very few generals who had repeatedly proved themselves in Hitler's eyes. Eventually even Hitler had enough of him, and he was dismissed in 1944. Manstein was born Erich von Lewinski in Berlin, the tenth child of Prussian aristocrat and artillery general Eduard von Lewinski. His parents died and he was adopted by his uncle, General Georg von Manstein. His career in the military was assured from birth. As a child he spent six years in the cadet corps, and then joined the 3rd Footguards in 1906 as ensign. In 1913 he entered the War Academy and was promoted to Lieutenant in 1914. He then took part in the process of creating the Reichswehr. He was promoted Company commander in 1920, and Corps Commander in 1922. In 1927 he was promoted again to Major, and started serving with the General Staff, visiting other countries to learn about their military. In 1933 the Nazi party rose to power in Germany, and von Manstein was promoted to Colonel in 1935, was posted to the General Staff. Considered to be uncooperative by Hitler, he was later sent to Silesia as commander of the 18th Division. During the invasion of Poland he served as chief of staff to the Army Group South under Gerd von Rundstedt. In 1940 Manstein worked with Blumentritt and von Tresckow to develop the plan to invade France. They suggested that the army should attack through the wooded hills of the Ardennes, where no one would expect it. Hitler originally rejected the proposal, but he eventually approved of a modified version, Fall Gelb, that later became known as the Manstein Plan. Manstein was then sent back to Silesia and did not take part in the operation until the final stages when he served under Gunther von Kluge. The plan was so successful that he was awarded the Knight's Cross for planning it. In February 1941, Manstein was appointed commander of the 56th Panzer Corps. He was involved in Operation Barbarossa where he served under General Erich Hoepner. Attacking on 22nd June 1941, Manstein advanced more than 100 miles in only two days and was able to seize the importance bridges at Dvinsk. The following month he captured Demyansk and Torzhok. Manstein was appointed commander of 11th Army in September 1941, and was given the task of conquering the Crimea. The Red Army defended Sevastopol and this important Black Sea naval base wasn't taken until July 1942. Promoted to field marshal, Manstein was sent to capture Leningrad. This led to a series of bitter battles and lost over 60,000 men over the next few months. In November 1942, Adolf Hitler ordered Manstein to rescue Fredrich Paulus's 6th Army during the Battle of Stalingrad. Placed in charge of a hastily assembled group of tired men and machines, he got his three panzer divisions to within 35 miles of the city. A massive Red Army attack at another point on the line forced him to retreat to the Ukraine. Manstein regrouped and the following year inflicted a heavy defeat on the Soviets at Krasnograd. An estimated 23,000 Soviet soldiers were killed and a further 9,000 were captured. Manstein now went on to capture Kharkov and Belgorod. In recognition for this action, he received the Oak Leafs for his Knight's Cross in March 1943. von Manstein then proposed an action for the summer to push the Red Army into the Sea of Azov at Rostov, but Hitler instead chose to back Operation Citadel and he was ordered to Kursk. After the failure of Citadel the Soviets counterattacked. In September he withdrew to the west bank of the Dnieper River, while inflicting heavy casualties on the Red Army. From October to mid January of 1944,von Manstein "stabilized" the situation but in late January was forced to retreat further westwards by the a Soviet offensive. In mid-February of 1944, von Manstein disobeyed Hitler's order and ordered 11th and 42nd Corps (consisting of 56,000 men in six divisions) of Army Group South to breakout from the "Cherkassy Pocket", which occurred on February 16/17th. Eventually, Hitler accepted this action and ordered the breakout after it already took place. Manstein continued to argue with Hitler about overall strategy and in March 1944 he was dismissed from office. Nevertheless that same day he received the Swords for his Oak Leaves, the highest German military honour. After his dismissal he entered an eye clinic in Breslau, recuperated near Dresden, and then retired. Although he did not take part in the attempt to kill Hitler in July 1944, he was aware of it. In late January of 1945 he collected his family from their homes in Liegnitz and evacuated them to West Germany. After the war Manstein was charged with war crimes. In court Manstein argued that he was unaware that genocide was taking place in territory under his control. However, evidence was produced that Manstein had ordered that the Jewish Bolshevik system be wiped out once and for all although he requested that officers should not be present during the killing of Jews. Manstein was found guilty and he was sentenced to 18 years imprisonment. However, for medical reasons he was freed on 6th May 1953. He then became an advisor to the re-forming German Army, the Bundeswehr, and later moved with his family to Bavaria. His war memoirs, Vereloren Siege (Lost Victories), were published in Germany in 1955, and translated into English in 1958. Erich von Manstein died in June 1973. On November 21, 1942, during the Battle of Stalingrad, Adolf Hitler appointed von Manstein commander of the newly created Army Group Don (Heeresgruppe Don), consisting of a hastily assembled group of tired men and machines, and ordered him to lead Operation Wintergewitter (Winter Storm), the rescue effort by Hermann Hoth's 4th Panzer Army and auxiliary Romanian troops to relieve the 6th Army of Friedrich Paulus trapped inside Stalingrad. Wintergewitter, launched on December 12, achieved some initial success and von Manstein got his three panzer divisions and supporting units of the 57th Panzer Corps (comprising the 23rd Panzer Grenadier Division, and the 6th and 17th Panzer Divisions) within 30 miles of Stalingrad by December 20. However, the corps was halted at the town of Aksay, and strong Russian forces eventually pushed them back. On December 19 1942 , von Manstein had ordered Paulus to execute the attack to linkup with the 57th Panzer Corps. Erich von Manstein did not however order the abandonment of Stalingrad, only to be prepared for doing so. Some state that Manstein could have ordered the abandonmnent of Stalingrad but they disregard that this could not be done without Hitler knowing it. The 6th Army never executed the attack because it considered it did not have enough fuel and ammunition to do so. Operation Saturn, a massive Red Army offensive in the southernmost part of the front, aimed at capturing Rostov and thus cutting off the German Army Group A, which was still withdrawing from the Caucasus, forced von Manstein to divert his forces to help hard-pressed Army Group A, in its retreat to Ukraine, thus avoiding the collapse of the entire front. The attack also prevented the 48th Panzer Corps (comprising the 336th Infantry Division, the 3rd Luftwaffe Field Division, and the 11th Panzer Division), under the command of General Otto von Knobelsdorff, from joining up with the 57th Panzer Corps as planned. Instead, the 48th Panzer Corps held a line along the River Chir, beating off successive Russian attacks. General Hermann Balck used the 11th Panzer Division to counterattack Russian salients. But the Romanian, Italian, and Hungarian armies on the flanks were overwhelmed, and the 48th Panzer Corps was forced to retreat. As a result, the remnants of the 4th Panzer Army retreated, as its northern flank was exposed by the loss of the Don. By early February, the German forces began to regroup. Von Manstein's Army Group Don combined with Army Group B and was made into the new Army Group South (Heeresgruppe S?d), which was led by von Manstein. On February 21, 1943, he launched a counteroffensive into the overextended Soviet flank. The assault proved a major success; von Manstein's troops advanced rapidly, isolating Soviet forward units and forcing the Red Army to halt most of its offensive operations. By March 2, tank spearheads from Hoth's 4th Panzer Army and Army Detachment Kempf met, cutting off large portions of the Soviet Southwest Front, and by March 9, the Wehrmacht had inflicted a heavy defeat on the Soviets at Krasnograd and Barvenkovo. An estimated 23,000 Soviet soldiers were killed and a further 9,000 were captured. Additionally, 615 Soviet tanks and 354 guns were captured. Von Manstein then pushed forward, with his effort being spearheaded by Paul Hausser's 2nd SS Panzer Corps, recapturing Kharkov on March 14, after bloody street fighting in what is known as the Third Battle of Kharkov. In recognition for this accomplishment, von Manstein received the Oak Leaves for the Knight's Cross. The 2nd SS Panzer Corps then captured Belgorod on March 21. Von Manstein proposed a daring action for the summer nicknamed the "backhand blow", which was intended to outflank the Red Army into the Sea of Azov at Rostov, but Hitler instead chose the more conventional Operation Citadel aimed at crushing the Kursk salient. During Operation Citadel, von Manstein led the southern pincer, and despite losses, he managed to achieve most of his initial goals, inflicting far more casualties than he sustained. In his memoirs, Marshal Georgy Zhukov, who led the Soviet defense at Kursk, praised von Manstein. But due to the almost complete failure of the northern sector's pincer led by G?nther von Kluge and Walther Model, chronic lack of infantry support and an operational reserve, as well as Operation Husky, the Allied invasion of Sicily, Hitler called off the offensive. Von Manstein protested, asserting that the victory was almost at hand as he felt he had achieved local superiority, and that with a little more effort, he could crack the Soviet defenses before they could bring up their reserves. After the failure of Citadel, the Soviets launched a massive counterattack against the exhausted German forces. A German victory in the sense of annihilating the surrounded Soviet forces required both the completion of the encirclement (that is the linking of the northern and southern German pincers) and holding the encirclement long enough to overcome the encircled Soviet forces. Even if the first had been accomplished it does not follow that the second would automatically follow. The German forces post-Stalingrad were never able to force the Soviets into significant retreats, except for temporary reversals like Kharkov. After halting the German offensive at Kursk, the Soviets had enough strength to launch immediate counterattacks. In September 1943, von Manstein withdrew to the west bank of the river Dnieper, inflicting heavy casualties on the pursuing Red Army. From October 1943 to mid-January 1944, von Manstein stabilized the situation on the Southern Front. However, the Soviets established a salient from Kiev, and were within reach of the crucial town of Zhitomir. The Germans launched a successful counteroffensive, in which 1st SS Division Leibstandarte SS Adolf Hitler and 2nd SS Division Das Reich, together with 1st, 7th, 19th, and 25th Panzer Divisions and 68th Infantry Division (part of 4th Panzer Army), wheeled around the flank of the Russians in front of Zhitomir. Several notable victories were won at Brussilov, Radomyshl, and Meleni, under the guidance of General Hermann Balck. Balck and his chief of staff had wanted to attack the base of the salient and go for Kiev, but General Raus favored a more prudent approach. In late January 1944, von Manstein was forced to retreat further westwards by the Soviet offensive. In mid-February 1944, he disobeyed Hitler's order to "hold his ground at all costs" and ordered 11th and 42nd Corps (consisting of 56,000 men in six divisions) of Army Group South to break out of the "Korsun Pocket", which occurred on February 1617, 1944. Eventually, Hitler accepted this action and ordered the breakout after it had already taken place. Von Manstein continued to argue with Hitler about overall strategy on the Eastern Front. Von Manstein advocated an elastic, mobile defense. He was prepared to cede territory, attempting to make the Soviet forces either stretch out too thinly or to make them advance so fast so that their armored spearheads could be counter-attacked on the flanks with the goal of encircling them. Hitler ignored Manstein's advice and continued to insist on static warfare. All positions held by the Germans were to be defended to the last man. Because of these frequent disagreements, von Manstein publicly advocated that Hitler relinquish control over the army and leave the management of the war to professionals, starting with the establishment of the position of commander-in-chief in the East (Oberbefehlshaber Ost). Hitler, however, rejected this idea numerous times, fearing that it would weaken his hold on power in Germany. This argument also alarmed some of Hitler's closest associates, such as G?ring, Joseph Goebbels and the SS chief Himmler, who were not prepared to give up any of their powers. Himmler started to openly question von Manstein's loyalty and he insinuated to Hitler that von Manstein was an idealist and a defeatist unsuitable to command troops. Von Manstein's frequent arguing combined with these allegations resulted in Hitler relieving von Manstein of his command on March 31, 1944. On April 2, 1944, Hitler appointed Walther Model, a firm supporter, as commander of Army Group South as von Manstein's replacement. Nevertheless, von Manstein received the Swords for his Knight's Cross, the third highest German military honour. After his dismissal, von Manstein entered an eye clinic in Breslau for cataract surgery. He recuperated near Dresden and then retired from military service all together. Although he did not take part in the attempt to kill Hitler in July 1944, he had been contacted by Henning von Tresckow and others in 1943 about the plot. While von Manstein did agree that change was necessary, he refused to join them as he still considered himself bound by duty. (He rejected the approaches with the statement "Preussische Feldmarsch?lle meutern nicht"  "Prussian Field Marshals do not mutiny.") He also feared that a civil war would ensue. Though he didn't join the plotters, he did not betray them either. In late January 1945, he collected his family from their homes in Liegnitz and evacuated them to western Germany. He surrendered to British Field Marshal Montgomery and was arrested by British troops on August 23, 1945. Because of the Soviet demands in the Cold War environment and respect for his military exploits, many in the British military establishment, such as Field Marshal Bernard Law Montgomery and the military strategist B. H. Liddell Hart, openly expressed sympathy for von Manstein's plight and, along with the likes of Sir Winston Churchill, donated money for the defense. Churchill saw the trial as yet another effort of the then-ruling Attlee government to appease the Soviets. In court, von Manstein's defense, led by the prominent lawyer Reginald Thomas Paget, argued that he had been unaware that genocide was taking place in the territory under his control. It was argued that von Manstein didn't enforce the Commissar order, which called for the immediate execution of Red Army Communist Party commissars. According to his testimony at the Nuremberg trials, Volume 20, pp. 608609 (August 10, 1946) , he received it, but refused to carry it out. He claimed that his superior at the time, Field Marshal von Leeb, tolerated and tacitly approved of his choice, and he also claimed that the order was not carried out in practice. "This struggle is not being carried on against the Soviet Armed Forces alone in the established form laid down by European rules of warfare. Behind the front too, the fighting continues. Partisan snipers dressed as civilians attack single soldiers and small units and try to disrupt our supplies by sabotage with mines and infernal machines. Bolshevists left behind keep the population freed from Bolshevism in a state of unrest by means of terror and attempt thereby to sabotage the political and economic pacification of the country. Harvests and factories are destroyed and the city population in particular is thereby ruthlessly delivered to starvation. Jewry is the middleman between the enemy in the rear and the remains of the Red Army and the Red leadership still fighting. More strongly than in Europe they hold all key positions of political leadership and administration, of trade and crafts and constitutes a cell for all unrest and possible uprisings. The Jewish Bolshevik system must be wiped out once and for all and should never again be allowed to invade our European living space. The German soldier has therefore not only the task of crushing the military potential of this system. He comes also as the bearer of a racial concept and as the avenger of all the cruelties which have been perpetrated on him and on the German people." "The soldier must appreciate the necessity for the harsh punishment of Jewry, the spiritual bearer of the Bolshevik terror. This is also necessary in order to nip in the bud all uprisings which are mostly plotted by Jews." The order also stated: "The food situation at home makes it essential that the troops should as far as possible be fed off the land and that furthermore the largest possible stocks should be placed at the disposal of the homeland. Particularly in enemy cities a large part of the population will have to go hungry."(ibid.) This also was one of the indictments against von Manstein in Hamburg; not only neglect of civilians, but also exploitation of invaded countries for the sole benefit of the "homeland", something considered illegal by the then current laws of war. The order additionally stated that "severe steps will be taken against arbitrary action and self interest, against savagery and indiscipline, against any violation of the honor of the soldier" and that "respect for religious customs, particularly those of Muslim Tartars, must be demanded." (ibid.) The evidence for this order was first presented by prosecutor Telford Taylor on August 10, 1946, in Nuremberg. Von Manstein acknowledged that he had signed this order of November 20, 1941, but claimed that he didn't remember it. This order was a major piece of evidence for the prosecution at his Hamburg trial. While Paget got von Manstein acquitted of many of the seventeen charges, he was still found guilty of two charges and accountable for seven others, mainly for employing scorched earth tactics and for failing to protect the civilian population (Src. : Liddell Hart Centre for Military Archives), and was sentenced on December 19, 1949, to 18 years imprisonment. This caused a massive uproar among von Manstein's supporters and the sentence was subsequently reduced to 12 years. However, he was released on May 6, 1953 for medical reasons. Von Manstein, one of the highest ranking generals in the Wehrmacht, claimed ignorance of what was happening in the concentration camps. In the Nuremberg trials, he was asked "Did you at that time know anything about conditions in the concentration camps?" to which he replied "No. I heard as little about that as the German people, or possibly even less, because when one was fighting 1,000 kilometers away from Germany, one naturally did not hear about such things. I knew from prewar days that there were two concentration camps, Oranienburg and Dachau, and an officer who at the invitation of the SS had visited such a camp told me that it was simply a typical collection of criminals, besides some political prisoners who, according to what he had seen, were being treated severely but correctly." Turn-based WW2 naval game, extension to the classic Submarine game (Battleship game) where ships/planes/subs can move. Contains plenty of game missions, game campaigns and 40 ship, submarine, airplane ana port artillery types, with combat maps up to 96X96 large. Fashion Tycoon is a business fashion management game. You'll build your multinational fashion company, destroy competition, hire employees, fashion models and businessman, establish company objects, run fashion shows and brand campaigns. There is a more than 30 missions with different game objectives. You can hire more than 100 fashion models, directors, brand experts, celebrities. Turn-based space strategy game represents World War 4 conflict on tactical level. The user-friendly game engine allows more than 60 unit types, including planet battleships, galaxy cruisers, death-stars, stealth units, star destroyers, air-space interceptors, explorers, planet artillery and radars. Tycoon Strategy Game - build your own world business empire as an arms dealer tycoon. Travel around the world, trade with more than 400 weapon systems, hire secretaries, bodyguards, lawyers, fighters and tanks, establish companies and search for criminals and hostages.